Venha para o Montana para experimentar o romance do Ocidente. Nosso estilo ocidental Carriage House Apartamento oferece um íntimo, romântico esconderijo na encantadora cidade ocidental de Whitefish, MT. Situado na Faixa Whitefish Mountain robusto este apartamento de um quarto foi foi concebido com o seu conforto e prazer em mente o uso de materiais de alta qualidade. Relaxe no sofá de couro reclinável ou no brilho da lareira de pedra. Assista ao jogo na TV de tela plana sobre o manto log. Apreciar a vista de Big Mountain da área de jantar. Depois de um dia de jogo em luxuriate Whitefish na banheira de hidromassagem ou chuveiro no slate chuveiro frio walk-in. De qualquer forma, você vai apreciar a bela casa de banho e o calor radiante irá manter seus dedos do pé quentinho. Para sua conveniência, há uma lavadora de tamanho completo e secador na casa de banho do armário. À noite deslizamento em um sono profundo no pillow-top cama queen size com roupas de cama de alta qualidade. Saia na plataforma por algum estrela olhando para check-out Big Sky de Montana. Madeiras locais, pedra extraída e granito são utilizados ao longo deste 700 pés quadrados home. A sala tem uma lareira de pedra com um manto log e uma excelente vista de Big Mountain. Existe uma cozinha totalmente equipada com balcões de granito. E o que uma localização! Próximo à cidade; uma curta distância de ótimos restaurantes; uma movimentação rápida até a montanha para esquiar; e, em um bairro tranquilo, que faz fronteira com uma reserva natural. Portanto, manter os olhos abertos e os seus binóculos útil para observação da vida selvagem. A sala climatizada para armazenamento de esquis e equipamentos está no local. Você vai adorar ficar aqui e odiar sair! O piso é todo de forma responsável colhidas fir local e larício dos grandes povos em RBM Lumber. A lareira de pedra é de McGreggor Lake, MT. O manto foi feito localmente por John Emerson, cuja família tem vindo a fazer móveis de log por décadas. Grande parte do mobiliário é de Móveis Hickory Velho, não local, mas eles foram fazer o melhor mobiliário lodge por mais de 100 anos. Luxuosa casa de banho com banheira de hidromassagem (ar banheira com cromoterapia sanitária). Andar no chuveiro. O calor radiante no chão de ardósia é quentinhas. Great place, well located between Mtn and town. Owners are very nice and welcoming. This apartment was clean and comfortable. It was stocked with anything you could need in the kitchen. Our family lives close and many sights are nearby. It was also very cozy and comfortable. Thank you! Very clean & comfortable place to stay! Lovely accommodations! Perfect location! 5-stars across the board. We were so pleasantly surprised when we arrived....how cute, clean and charming this apartment was! The spa-like bathroom was a dream! The bed was super comfy also..which is important to us. We saw deer everyday and the wild turkeys were hanging out as well. Karen and Richard were lovely hosts and were there is we had any questions but also allowed us complete privacy. Would highly recommend this adorable place to anyone that is searching for a great place in Whitefish! A beautifully appointed retreat in a lovely, quiet setting! My husband and I absolutely loved the carriage house! The proprietors, Karen and Richard were wonderful. They were so easy to talk to, and gave us great advice about what to do and see in Glacier National Park and what to enjoy in Whitefish, as well. The apartment was well-appointed and immaculate. It was bright and beautifully decorated. The bed was extremely comfortable as were the couch and recliner. The apartment had everything we could possibly need. The setting was just lovely, too. From both the front windows and the back balcony, we could see deer feeding in the early morning. There were hummingbirds, too! It is a quiet location, yet it is within walking distance to the adorable and friendly town of Whitefish. So glad we found this cozy, comfortable apartment to come home to after a long day of hiking! 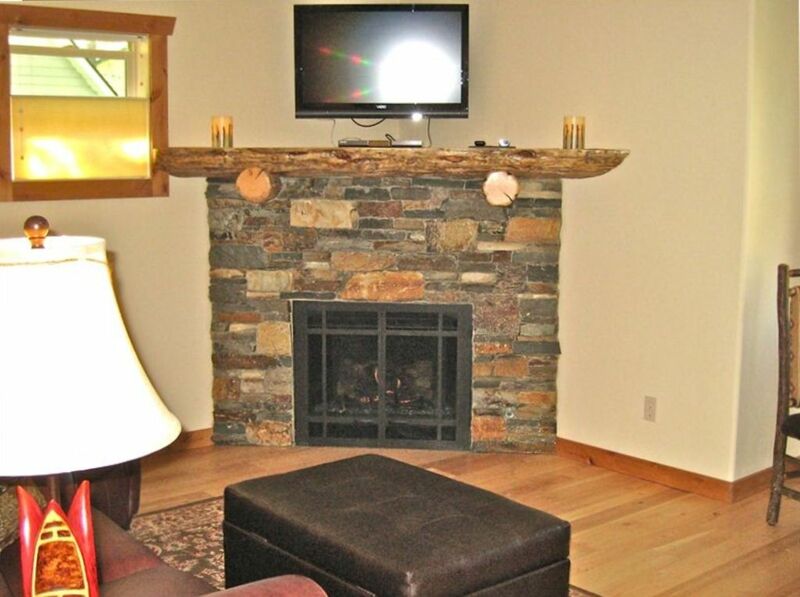 We highly recommend the carriage house to anyone visiting the Whitefish area. This property was quiet, immaculate and cozy. Well equipped with everything we needed. Deers were roaming in the back yard. Walking distance to nature trails and biking/jogging trails. And the whitefish lake marina. Short drive to the ski resort with fun summer activities. Lots of restaurants but we mostly cooked at the rental. Lots of grocery stores close by. About 1/2 drive to gorgeous Glacier National Park. There are closer places to stay but it is worth the 1/2 hour drive to come back to the quiet and relaxing rental. We stayed for 4 days and Would have enjoyed staying much longer. We highly recommend this rental. Este é um grande "acampamento base" para visitar Glacier National Park e todo o Vale do Flathead tem para oferecer. E você começa a voltar para casa para todas as comodidades maravilhosas Whitefish tem para oferecer.